Both the House and Senate have passed “fast track” authorization giving President Obama the go-ahead to finish negotiating the Trans-Pacific Partnership which he can now present for an up or down vote without amendment. Winning fast track authority is a major victory for big business and a big defeat for the labor and environmental movements which had fought to block it. 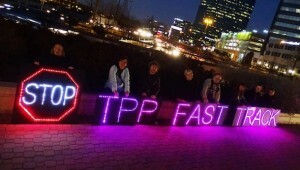 The TPP has been negotiated in secret by representatives of 12 nations in the Asia/Pacific region, including the U.S. Previous free trade agreements like NAFTA were a huge boost to corporate interests and created huge problems for working people in both “advanced” and “developing” countries including the displacement of millions, massive job losses, escalating privatizations and ripping up environmental protections. TPP will be even worse. Recognizing these threats, the labor and environmental movements waged a campaign to put a stop to fast track. In early June, as the fast track vote neared in the House, the unions called on their members to inundate their representatives’ offices with calls, demanding a “no” vote and threatening to withhold campaign funding from those who voted “yes”. This strategy was particularly focused on the Democrats. In early June it seemed to work with a vote against fast-track in the House. However, just a few days later, these hopes completely collapsed: On June 18, thirty Democrats in the House voted with their Republican colleagues to authorize fast track. A few days later, on June 24, another blow came when 13 of the 44 Democrats in the Senate joined with Republicans to end the debate in a vote of 60 to 37. 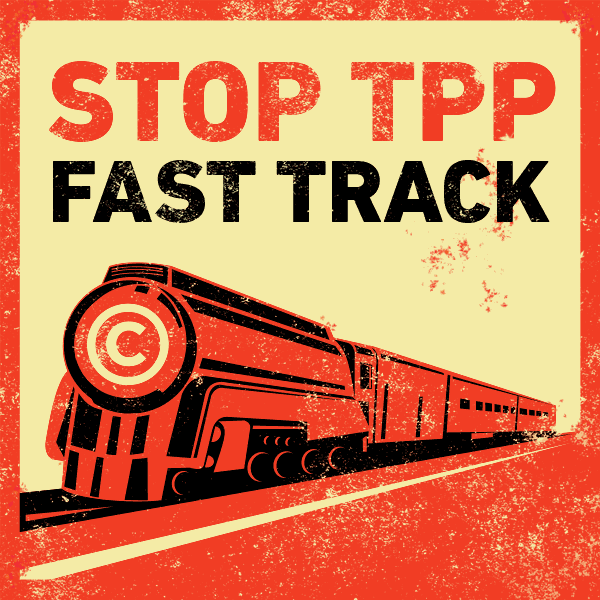 The future fast track legislation requires only 51 votes to pass. The challenge is now even bigger to stop TPP. The outcome showed that while there are real divisions in the Democratic Party on this question, the Obama administration along with the bulk of Republicans and many key Democrats were willing to go to almost any lengths to give the Chamber of Commerce what they want. 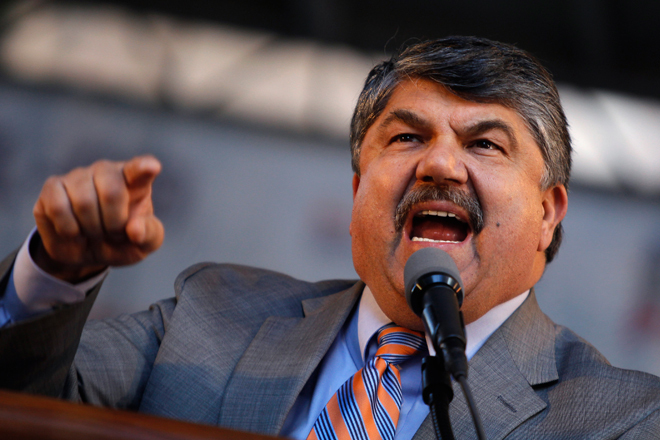 The outcome also showed that the unions’ approach to fighting TPP did not go far enough. Fast-track could have been crippled, had the unions fully mobilized their membership through mass mobilizations and taking workplace action like information pickets during breaks and work slowdowns. Such an approach would show that workers meant business but it needs to be linked to a strategy to really challenge corporate politicians through an alternative to right-wing Republicans and big-business Democrats. The unions and environmental organizations should take on the Democratic politicians who supported the TPP and fast track by funding independent candidates against them in 2016 as a first step towards building a political alternative for the 99%. 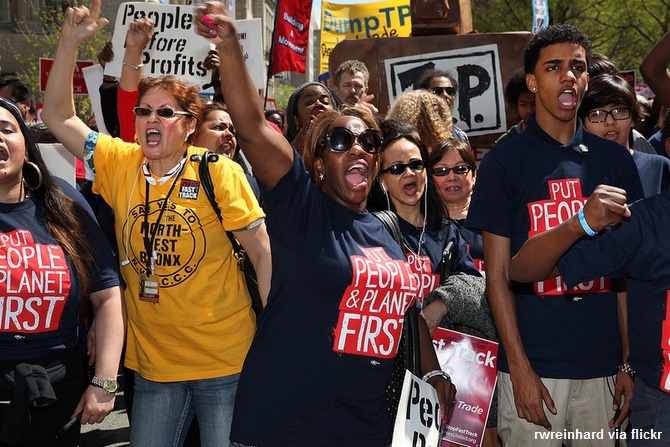 Through a united and determined strategy, the country’s 16 million trade union members and the millions more who would back the unions if they gave a clear lead, as well as the millions of young people committed to environmental and social justice, can win the argument in society and defeat TPP.